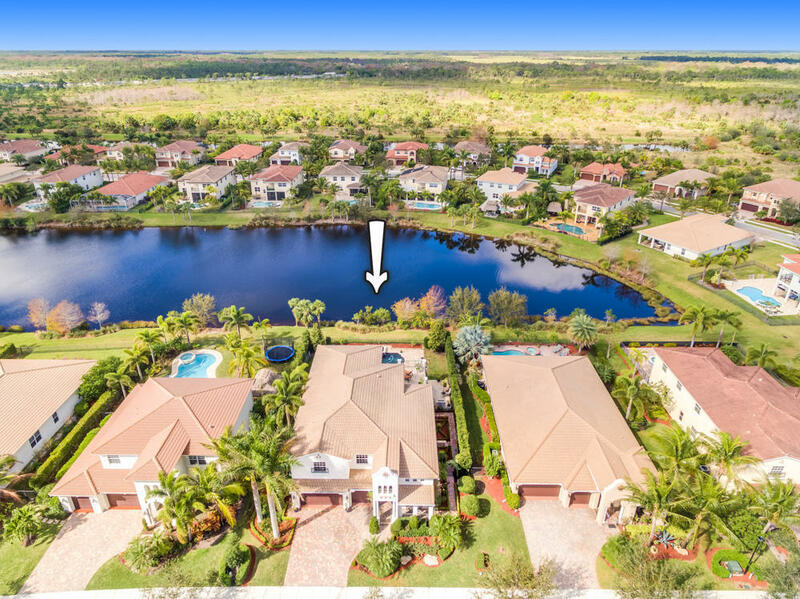 This lovely 5BD/5BA/3 car garage lakefront pool home awaits you in the highly sought after, private gated community of Rialto. Rarely available Valenti model with an exquisite outdoor living area including a beautiful saltwater pool/spa, travertine deck, extended covered patio, outdoor fireplace, underground propane tank, beautifully manicured gardens & wraparound balcony where you can enjoy the splendid sunsets & lake view. A spacious floor plan with 20' volume ceilings & plenty of impact glass windows to let in natural light. The kitchen features granite countertops, dual wall ovens, stainless steel appliances & an island with seating. Master suite has 2 sitting areas, dual walk-in closets with built-ins & access to the private wraparound balcony which overlooks the pool & lake.